is an interacting galactic group, approximately 85,000,000 light years distant. 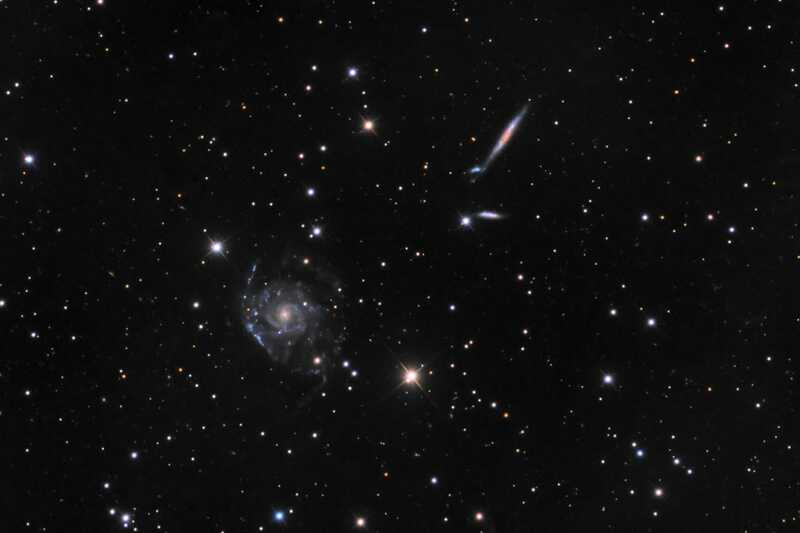 The larger, face-on spiral at 8 o'clock is NGC 2805. NGC 2820 is the slim, edge-on at 2 o'clock, with the tiny, bluish IC 2458 just off of its lower-left tip. Finally, just below 2820 at 3 o'clock, is the small edge-on NGC 2814. The data was acquired at New Mexico Skies in 2013.